The weak UK GDP number caused the GBP/USD to sell off aggressively today, breaking the uptrend in the currency pair. 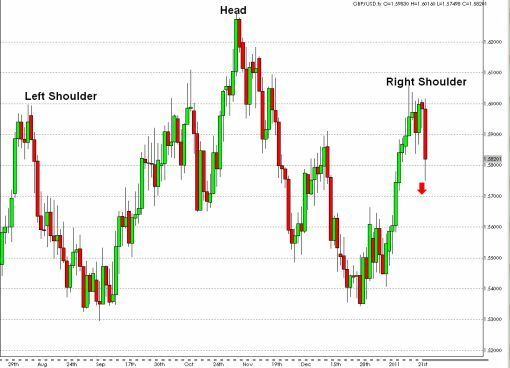 Earlier this week, I posted a chart about a head and shoulders formation that could be forming in the GBP/USD. At the time, I said that it was a bit premature but after today’s price action, its certainly looking like this could be the start of more significant losses in the currency. I’m not so greedy and will be happy with a move to 1.5650, but where do you see the neckline?